Farming today is a big risk, big rewards type of business. Farms are very expensive to run and high-yielding in profit in good crop years. One key to be successful with your crop yield is to be analyzing everything from seed crop data, to pesticide application, to soil conditions and our favorite subject, using a weather station to study what nature’s elements are doing daily. Farming 40-50 years ago was much different than it is today. Agriculture used to be thousands of 100-500 acre farms spread throughout the United States. This size of farm cannot successfully exist today, simply because you could never create enough income from it to afford to keep it running. The farms today which are able to make money for it’s owners are probably at least 1000 acres. Most are probably 3 to 10 times larger than this. The biggest reason farms fail is usually weather related crop failure. Sometimes this failure is not that crops aren’t produced, but that not enough of a yield was produced to overcome the high costs. One way to increase the crop yields is to employ every available modern day data stream to help you understand the truth about what is happening. This data stream would be of weather data coming from weather stations you may have set up on your farm property. They would need to be set up as per the thoughts on weather station installation of these two pages from our site. Then you can apply a good sound decision to what is really happening. 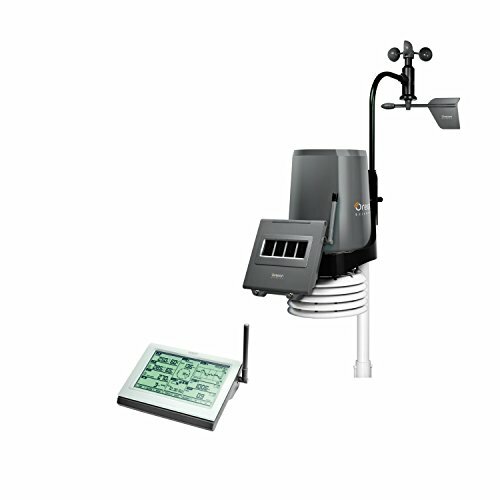 Using a weather station (or a series of weather stations) could be very beneficial to a farm. 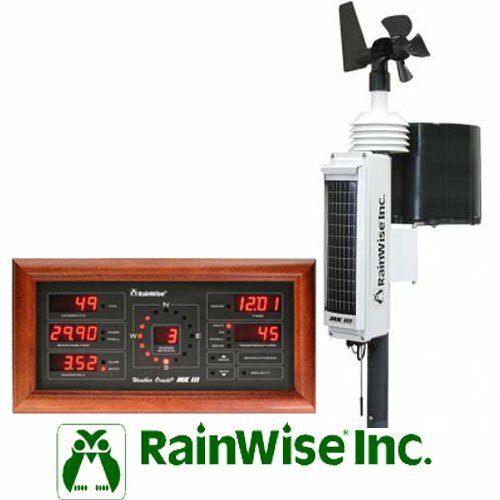 The information supplied by a station, that is most needed is temperature, wind speed, barometric pressure, rainfall measurements, and recorded rainfall amounts. Also the relative humidity is very important as is the upcoming weather forecast. Working with the forecast is by far the best way to manage your farm work. Let’s now go over using weather station data. We will cover various categories that are all very important to different types of farmers due to different types of conditions for their farming. One very important thing to note is that with commercial agriculture crops, we are talking about huge tracks of land that are in production to grow millions and millions of bushels of crops. Many of these crops are grown in the mid western states. States such as Iowa, Nebraska, Kansas, Oklahoma, Missouri, North Dakota, Montana, South Dakota. Then a few more states should be mentioned like, Minnesota, Colorado, Illinois, and Indiana. These states are huge in growing commercial agriculture crops such as corn, wheat, and soybeans. These crops are huge mainstays in the world wide diets of 2017. Thus their failure or even threat of failure is tantamount to maintaining food supplies in the United States. This is in addition to the vast amount of food that is exported to other nations around the world. With all of this in mind, Many of these farmers are looking to incorporate the use of professional weather stations throughout their farms to monitor weather data changes so that all or some of the following weather readings could make a huge difference to them. 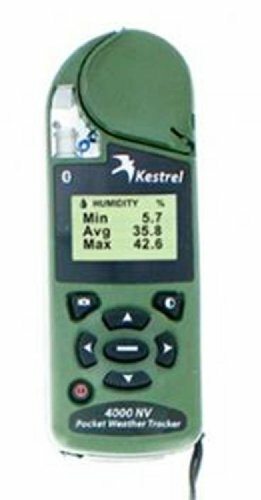 Many of these farmers are today, using small handheld weather meters to collect weather data and send the results to their cell phones. This is done while in the middle of a very large farm operation, maybe even in the middle of a field or a corral. These signal warnings allow the farmers to quickly respond to these weather meter readings. In farming, most of the emphasis in this data area, is looked at through the lens of just how devastating a frost could be to your crops. A station will have a temperature change alert on it that you can set. This alert will serve the purpose of letting you know when the temperature is dipping down to near frost levels. This then would allow you to respond by setting up anti-frost measures in your harvest areas to protect your crops. Some of these anti-frost methods could be covering, fog or smoke clouds, light sprinkling of water, and the usage of wind machines. This method reduces heat loss from the surface. This is often used by home gardeners and the growers of low-growing commercial crops that use smaller acreage lots. They use materials such as straw mulch, boxes, tar paper, plastic, etc. to reduce the heat loss from the surface. Often the costs of these materials prohibits this method. The storage, the time and labor needed to place the covers, are the main drawbacks to this method for large areas of crops. Some materials are more effective in reducing radiative heat loss than others. Any cover is effective in reducing heat loss by convection. When covers are placed, particularly thin materials such as plastics, care must be taken to prevent contact with the plant to reduce heat loss by conduction. You need to remember the temperature of the exposed surface is usually lower than the air below it. Straw mulches should cover all plant parts as any protruding leaves are more susceptible to freeze damage. Covers should always be removed during the day, as the plants need to breath, and the warmer day temperatures will cause condensation around the plants, a heavy dampness which will lead to increased risk of plant diseases forming. This method is well known for its active ability to reduce the radiative heat loss from the ground. Often smoke from smudge pots are used to smoke out or fog the area with a warm protective air covering. Some people have used mist from fine water nozzles, and another favorite is to burn petroleum based tires. These will also serve to keep the earth’s warmth from escaping thus lowering the risk of frost bitten plants. One bad part to discuss about the smudge pots and burning tires is that very often this goes broadly against local environmental laws for air pollution. A third method to discuss is sprinkling a low application of water in the air. This is done through using an irrigation system, and sprinkling a light mist of water over all your crop. This has scientifically been proven to be effective in protecting lower to the ground crops from the frost. This is especially effective when vast temperature differences are present between the ground temperature and the temperature say 10-20 feet above the ground. Effectiveness varies in the range of 1 to 4 degrees C.
Please note that this method must be started well before the onset of freezing temperatures and must be maintained for an extended period of time after the threat has subsided. Another popular system used is the use of wind machines. This is most effective during freezes which occur on calm, clear nights. On those nights the air layer near the ground is colder than the air aloft. This is known as a temperature inversion. Wind machines or helicopters are sometimes used to bring the warmer air down to the crop level to replace the cold air layer at the surface. Equipment and operating costs are high for this system, but this can also be the one most effective method to use, but your budget must match up with the benefit your are producing. The first thing that comes to mind with wind direction is how very important it is to observe wind conditions(speed and direction) prior to spraying any crops with chemicals. Spraying is a very expensive part of managing your crops over-all health. Insects and pests must be sprayed for. This will increase the volume of the harvest by not losing yields due to any damage from blights, eating of crops, and either malformation of the fruit/yield or the physical appearance of the crop. The marketability must be maintained. The integrity of the crop that you are selling must be top grade. The top grade quality will always bring the highest price for the crop. Wind speed is very important as well. If you have a wind storm, or predicted strong wind gusts, you need to know. Strong winds often cause crops to break and lay down. Often they will not harvest properly if they are laying down (versus) standing up. Knowing the drying conditions of the day or the next few days is very important to a farmer as well. Let’s say you have three hay fields, to cut, to condition, to bale and to haul into the mow. Maybe you will not even start the haying operation if you do not have enough time to get the bales into the barn before it rains for a couple of days. Wet bales can easily become moldy. Moldy hay will not be eaten, nor could it be used in the feed grinding process. This will then cause extra work to roll the bales over, to insure the bale is dried out on all sides. If the farm needs to bring in the bales of hay or straw from the field, they will need to know if someone should be sent out to roll the bales over to let the bottoms dry out. It is very important to only pick up and mow away only dry bales. Bales of straw or hay that are still damp can cause a great heat up(self combustion may occur) in the mow, and many barn fires have happened in the past. These fires often totally destroy the barns as well as the stored crops, the cattle, and farm equipment as well. The upcoming elements forecast is what I would consider second most important thing an instrument station can give me, if I’m a farmer. As I mentioned in my article on gardening and weather stations, the same goes for farming. A farmer is always at the mercy of the outside elements. He will be allowed x-number of hours to bring in crops before it rains, as an example. Or he may have two hundred acres of grain to harvest yet, but in three days, it is going to start snowing. He must maximize his harvest time, to bring in as much of the grain crop as possible. The weather forecast and present instrument elements data will allow him to figure out the best use of his daylight working hours. It will allow him the best use of the dark hours as well. So as you can see the weather information is needed by any farmer, that way he is not shooting blind. The farmer’s respect for and knowledge of the weather is vital to his survival. If he misreads, or fails to act properly with any climate situations he will pay dearly for that bad decision. The farmer has many huge expenses today in his business. Equipment is very high in cost. Building maintenance is costly. Fertilizer is expensive as well. The cost of best seeds (for top yielding crops) is expensive as well. Animal feed, gas for equipment, and the cost of labor is high as well. So with this in mind why would a farmer not be willing to invest in top of the line weather stations, displays, and weather equipment? The stations should also collect and store data as well. This is the age of highly educated analyzing farmers. So the use of computers, the analysis of data, and high level planning are keys to successful farming. 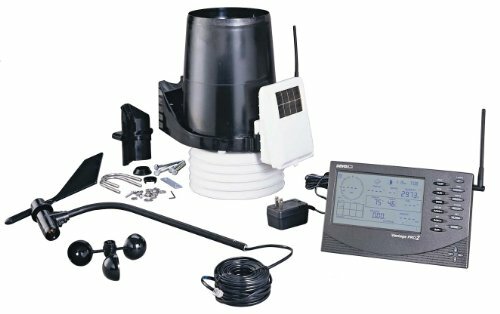 How Weather Stations Help GardenersWeather Stations help gardeners quite a bit. Grow a better garden with the guidance of a personal weather station. 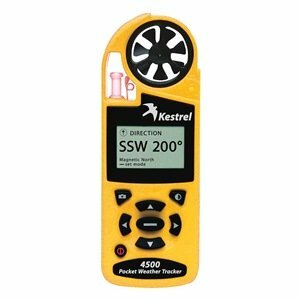 What Weather Measurements Are Best For GardenersThis article I discuss the types of weather instruments you use to help in your personal gardening. Weather stations help farmers if they use them. Farming depends heavily on weather. So as a farmer you need the best possible weather information. Learn how to get the best information.